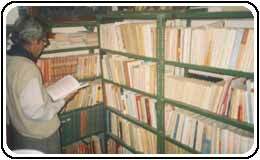 Uttarpara Jaykrishna Public Library is the first free Public library in India. 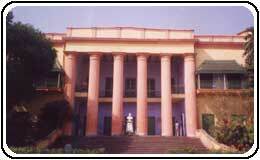 It was established by Joykrishan Mukherjee, famous son of Uttarpara. Influenced by Dwarkanath Tagore and guided by London Public Library act 1850 – Joykrishna initiated this novel venture in 1859 when modern public education was a far cry in Bengal or India. 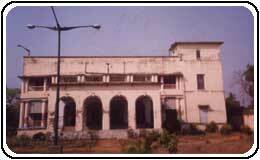 Apart from its invaluable collection – it is also famous for its association with people like Michael Madhusudan Dutta, who spent last few days of his life in this library building, Rishi Autobindo – who delivered his famous ‘Uttarpara Speech’ and many others.The construction of library building started in 1856 on over one acre land at the cost of Rs. 85,000.The two storied library with out house and flower garden formally opened on April 15, 1859 though it started working for scholars and researchers as early as 1851. His library is immensely rich in primary printed materials essential for 17th to 19th century studies and has a collection of about 50 to 60 thousand books. Sir William Hunter who stayed over here for three years for the compilation of his statistical accounts of Bengal and imperial Gazetteer described this library as a “Treasure House”. Dr. S. R. Ranganathan, National Professor in Library science paid a visit in this library in 1952 and remarked that major portion of collection of this library could not be found even in the largest library of the country.The library enjoys a cherished association with such great personalities as Governor Sir Ashley Eden, Miss Mary Carpenter, Sir Edwin Arnold, Sir River Thomson, Marquis of Dufferin and Ava Dufferin, Iswar Chandra Vidyasagar, Surendra Nath Bannerjee, Bipin Pal, Kesab Sen and others.